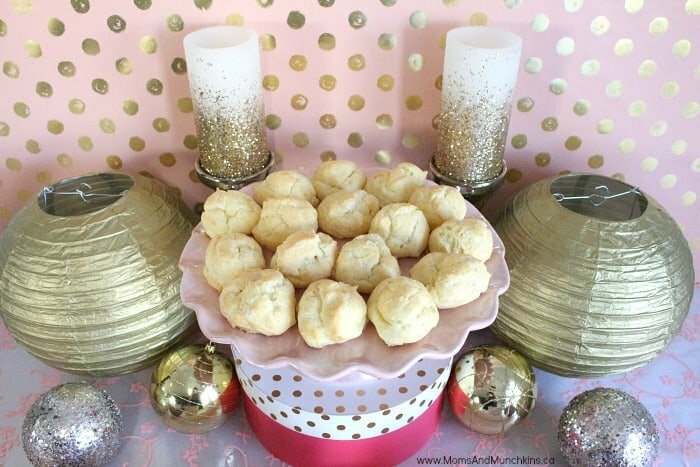 A Cream Puff Buffet is a fun idea for a potluck or dessert party – just set out a bunch of cream puffs along with an assortment of fillings like pudding and whipped cream. 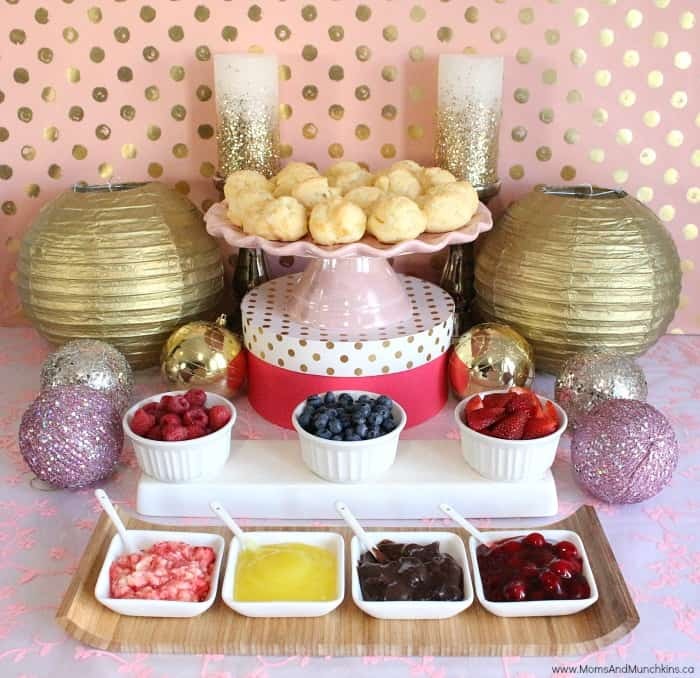 Guests can try a variety of different flavors or even mix a few fillings together. 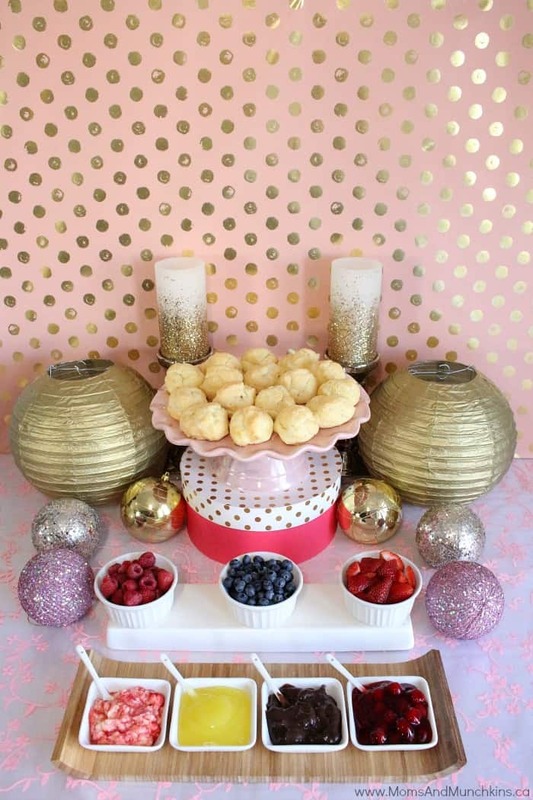 This is a great idea for a bridal shower or baby shower and it’s so easy to prepare! 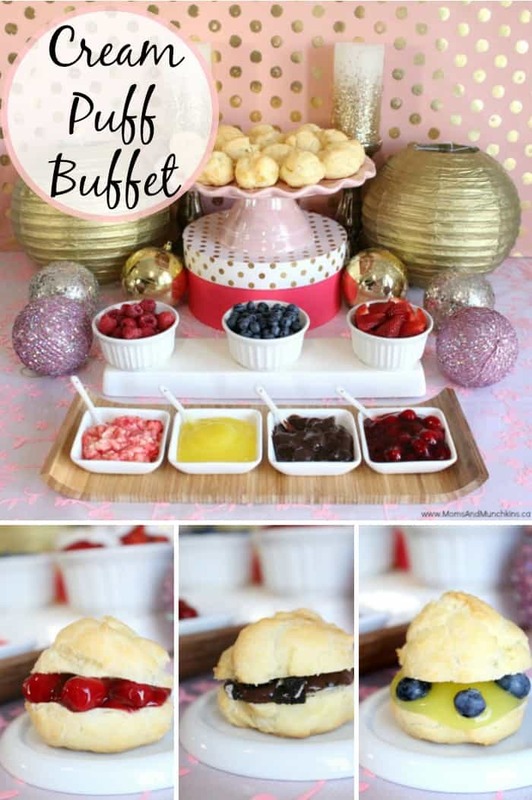 For this buffet, I started with the cream puff recipe below then added a no-bake strawberry cheesecake filling (the prepared Jello-O kind in the refrigerated section of the grocery store), lemon pie filling, chocolate pudding, and cherry pie filling. 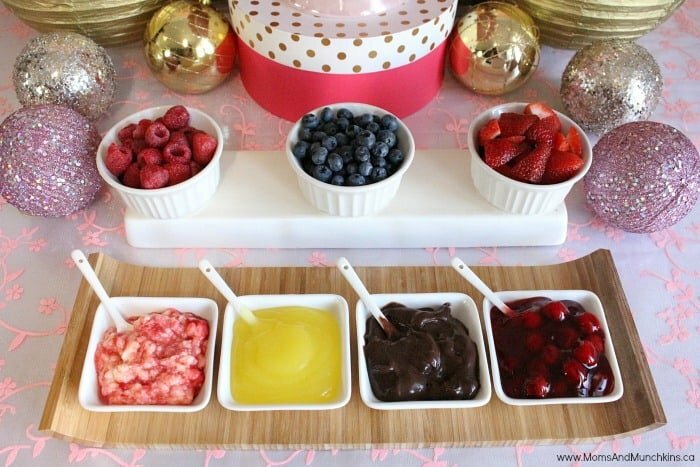 I added some fresh fruit to the buffet as well. On your stove top, boil water in a medium pot. Add butter to boiling water. Heat to boiling. Add salt. Add flour, all at once, stir over the heat until smooth. Cook until mixture leaves the sides of the pan. Do not overcook. Remove pot from stove top. Cool slightly. Add unbeaten eggs one at a time (very important). Stir until smooth after each egg is added. Beat until mixture is glossy. Chill mixture slightly (the mixture should be stiff enough to hold its shape). Drop walnut sized amounts (for medium sized cream puffs) onto cookie sheet. Bake at 400 F for 25 minutes. They should feel very light when ready to take from the oven and they should have turned a golden colour to a light brown. Do not open the door during the first 25 minutes. Cool, cut opening in each. 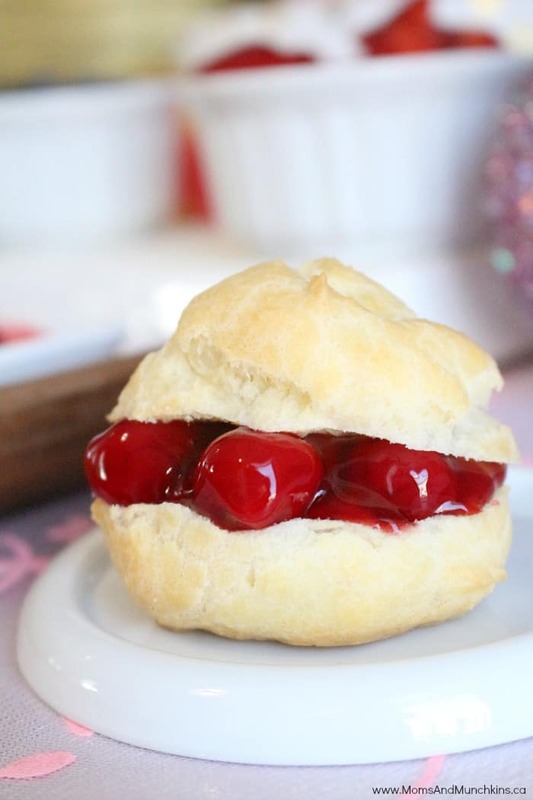 What is your favorite cream puff filling? Let us know in the comments below. 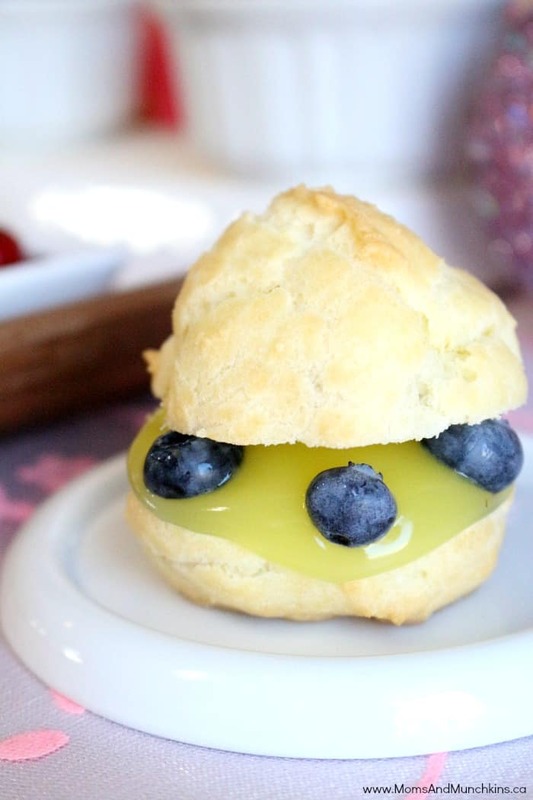 We’re always looking for new & delicious ideas. 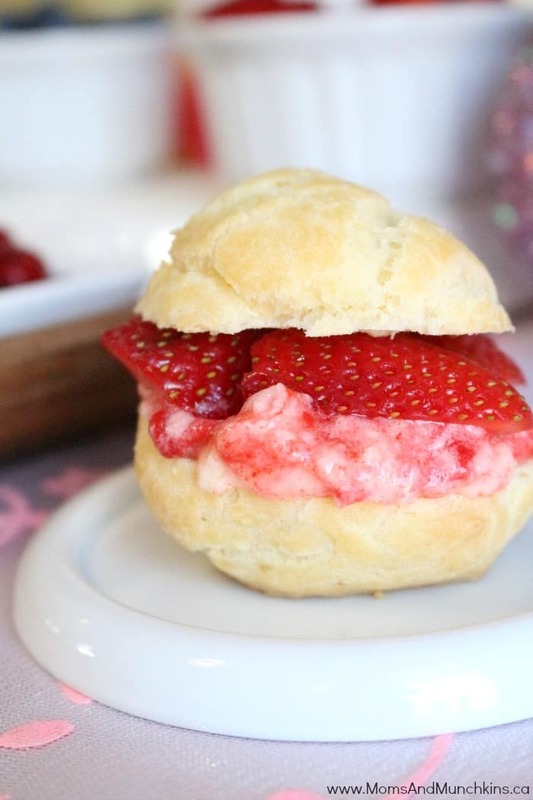 For more delicious recipe ideas, check out our Recipe page. 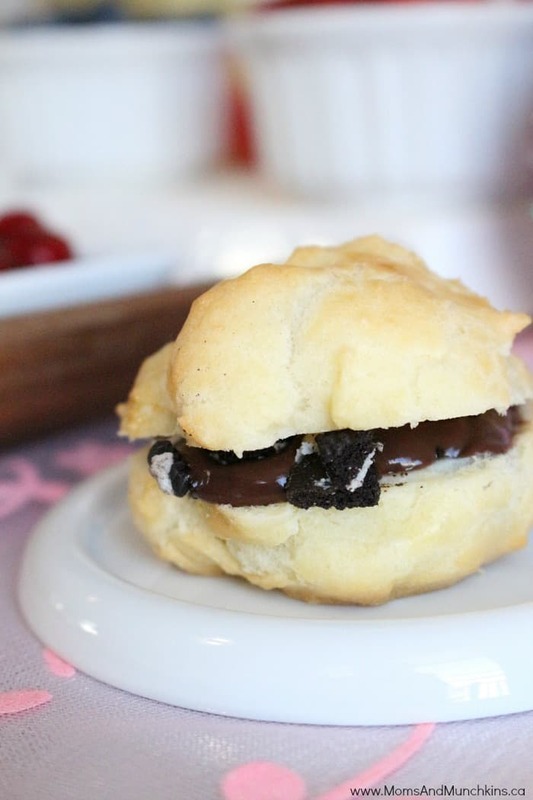 We’re always adding new tasty treats so follow along on Facebook, Twitter, Pinterest with sneak peeks on Instagram.